It remains unknown if it was a coincidence or not that on the evening of February 5, the first day of the Chinese New Year, Australian newspaper Sydney Morning Herald revealed that immigration authorities had rejected Chinese billionaire Huang Xiangmo's citizenship application. Officials also revoked Huang's permanent resident status, a move that blocked him from joining his family and conducting business in Australia. Australian authorities have the right to make ruling they see fit, and for whatever reason. For example, the so-called "character grounds" in Huang's case, basically explains nothing. What arouses skepticism of the true motivation is the link between such a decision and the accusations by Australian government agencies, along with several media reports during the past two years that claimed Huang was engaged in espionage activities and unlawful political lobbying. Many of the allegations have proven to be implausible and groundless. In late 2017, Melbourne newspaper The Herald Sun issued an apology for suggesting that Huang was, "attempting to interfere with Australian government policy...that he was engaging in espionage." As anyone can plainly see, Huang has once again fallen victim to a renewed wave of anti-China hysteria, aimed at increasing fear mongering and hatred toward China and Chinese business throughout the country. Without producing evidence of any kind linking Huang to the recent allegations, allusions and insinuations continue to be made for the purposes of creating an impression among the general public that Huang has engaged in espionage activities, echoing fantasies from other Cold Warriors in the new age. Another ludicrous example is how Australian Department of Defence banned employees from using the Chinese app WeChat citing security issues. Government phones and agencies are prohibited from installing WeChat. What's more, Australia's think tank, the Australian Strategic Policy Institute recently predicted the app would be used to influence the upcoming election. WeChat, a popular app among Chinese, is a versatile and serviceable application in the mobile telecommunications age. But it takes extreme imagination to concoct a theory whereby the app could be used to sabotage an election. 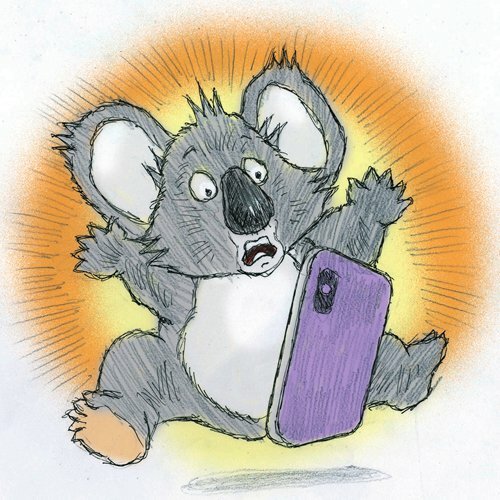 There is nothing wrong with the Chinese community engaging in Australian politics on the WeChat platform or on any social media application for that matter. In fact, even Australian Prime Minister Scott Morrison is not buying the allegations. Before Chinese New Year's Eve, Morrison had become the latest WeChat user, opening his own account, targeting its 1.5 million users in Australia, who are mostly Chinese. Against the backdrop of the federal election scheduled in May, Morrison, both as the Prime Minister and leader of the Liberal Party, is very wise to utilize its effectiveness to "introduce my work and national policies" to Chinese Australians. Business people are instinctively sensitive to commercial environments. An unfavorable atmosphere will unsettle their confidence and swerve business interests. According to the latest figures released by China's General Administration of Customs, the growth rates of China-Australia trade in 2018 were dismal compared with that in 2017. The reasons not only include the so-called "the Chinese economic slowdown," but are partly due to the continued strained relations between the two countries. As the bedrock of the mutually beneficial bilateral relationship, which has taken decades to reach its current level, trade and investment function as the thermometer in forecasting future weather. The Year of the Pig apparently did not start well for Huang, who is said to be stranded in Hong Kong unable to return to his home in Mosman, Sydney. The allegations may send a chill down the spines of many Chinese Australians who do not hold a critical or condemning outlook on China-developed technology, from 5G telecommunications equipment to messaging applications. The ignominious times of the Yellow Peril have not been seen Down Under for quite some time, but the ghost of the Red Scare now hovers above. May the fireworks of the Lunar New Year celebrations drive it away and bring hopeful future for China-Australia relations.